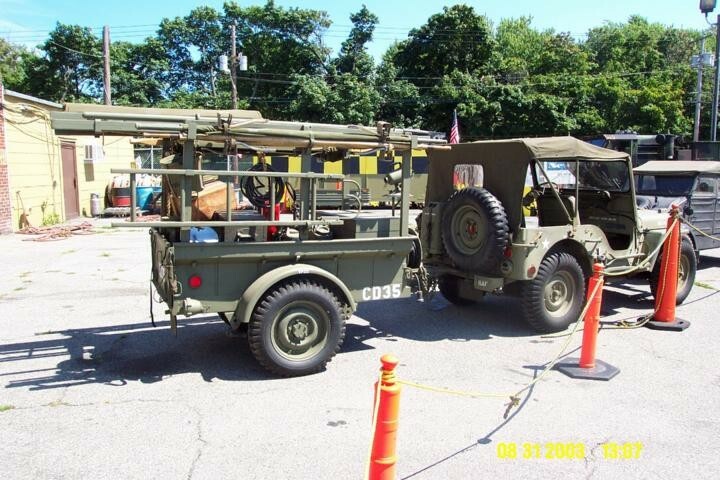 WW2 Willys Jeep with trailer set up for rescue operations. American Airpower Museum, 2003, Farmingdale LI, NY USA. Annual open house in September each year.